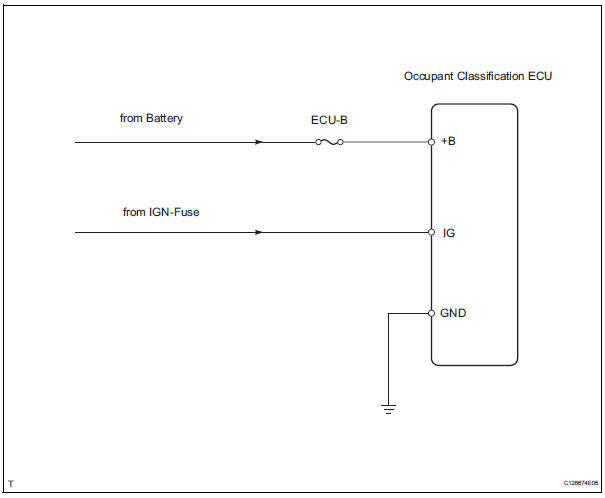 Dtc b1795 is recorded when a malfunction is detected in the occupant classification ecu. Troubleshoot dtc b1771 first when dtc b1771 and b1795 are output simultaneously. Dtcs other than dtc b1771 and b1795 may be output at this time, but they are not related to this check. Check the ecu-b fuse from the instrument panel junction block. Disconnect the no. 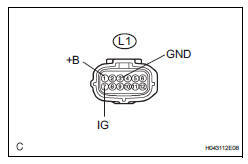 2 Floor wire connector from the occupant classification ecu.